This card (put together with items from various Paper Issues Swag Bags and items from my stash) is definitely heavy on the pink (and black and white) but that's what little five year old birthday girls love, isn't it? I don't create many boy/masculine projects, but when I came across this rocket ship paper in my stash an idea for a boy's birthday card popped into my head and I went with it. Before I knew it, it was done. It doesn't happen often, but I sure love when it does. 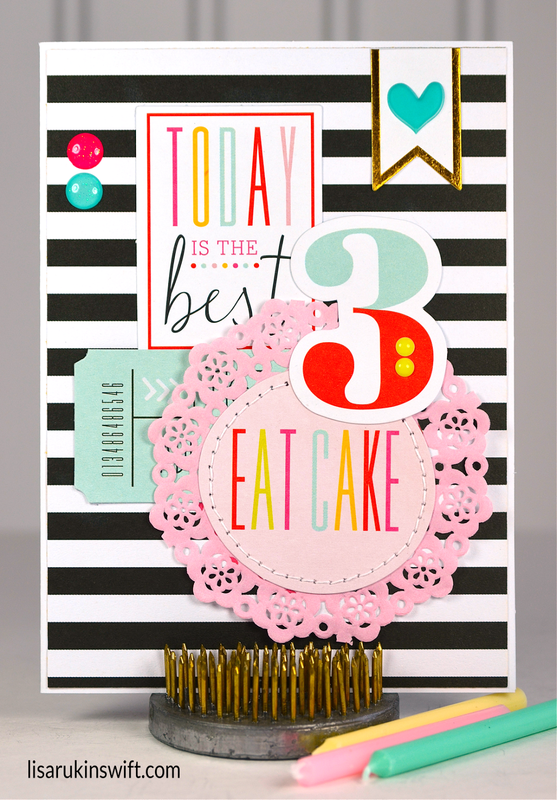 June is a busy birthday month in our family which always inspires me to make cards. This one is a mix of Dear Lizzy Fine & Dandy ephemera, Crate Paper gold star vellum, Bella Blvd. Color Chaos, and Doodlebug Glitter Sprinkles. 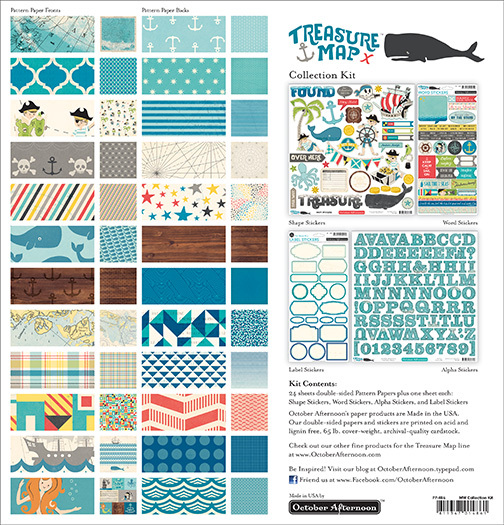 Would you like a chance to win October Afternoon's Treasure Map collection kit? 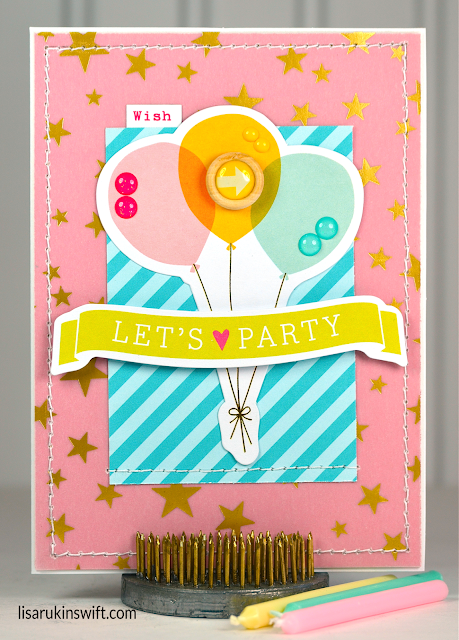 Then be sure to check out the new linky party, Seas the Day, at Paper Issues. You'll find all of the details on the Paper Issues blog. You have until Sunday, 7/5 to share projects having to do with summer/vacations, spending time in the water, projects that use Paper Issues free cut files, anything made with October Afternoon products and more. If you can believe it, today I'm sharing something other than a card! Alexa's dance team performed their jazz routine to a cover version of the song, Queen Bee. With her black sequined top, feathery flower clip, fishnet stockings and bright yellow skort, she certainly looks the part. See the oval sticker in the top right corner of the layout? The one that says, "Oh, Honey"? It's a product insert from the false eyelashes Alexa wears for competition. I've been holding onto it for some time, not knowing how or when I'd use it, and along comes this routine! How perfect! Have you used product packaging on your projects? There are so many fun labels and tags on the products we buy. I love to put them to use! 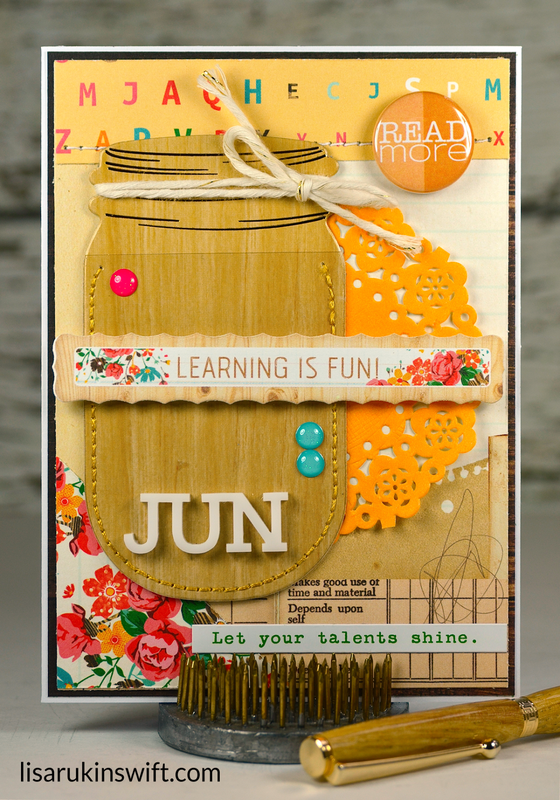 I paired scraps from Webster's Pages Hall Pass with Doodlebug's new mini doilies and glitter enamel dots and a Crate Paper Poolside mason jar pocket to create one last teacher thank you card. 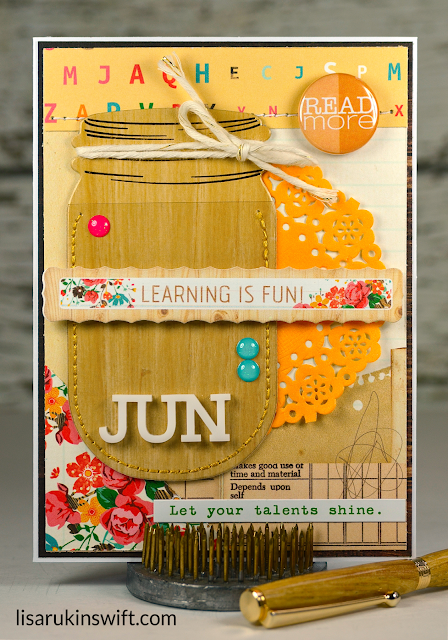 Feed Your Craft flair and an acrylic word from Color Cast Designs finish off the card. 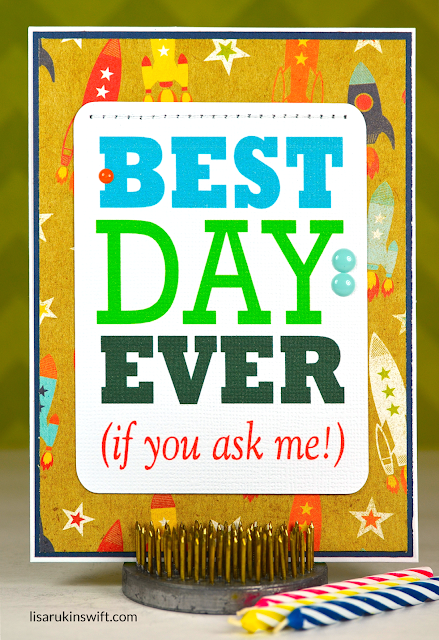 I like how the card is school-themed but also has a fresh, feminine and summery look. I know some schools have been out for quite some time, but school is in session here until next week. I've made a number of Father's Day cards recently and rather than share them in separate blog posts, I thought I'd feature them all together. As you can see, I was somewhat partial to orange, although I didn't plan it that way. I just worked with product I had on hand. The first card (which I shared last Monday), Mr. Fix-It, was created with Echo Park/ Silhouette cut files. I printed the words "Happy Father's Day" repeatedly on the B side of the "Smell the Roses" paper from Chickaniddy's 365 collection, embellishing very simply with wood veneer sequins, an ampersand and orange puffy heart. 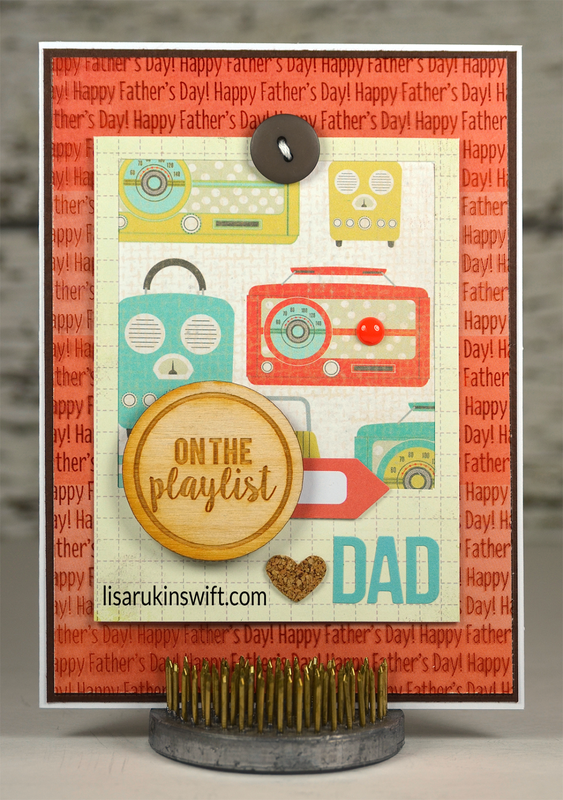 The second card, On the Playlist, was inspired by the vintage radio paper from a Paper Issues Swag Bag and the fun wood veneer circle from Color Cast Designs. This time I printed repeated text on a transparency and layered it over wide-striped orange paper from the Simple Stories I Am collection. You are the Best Dad also features a warm, masculine color scheme and wood veneer embellishments for dimension. I used a June calendar (from an older Simple Stories collection) from my stash. I love finding something that works with the project I'm working on, don't you? 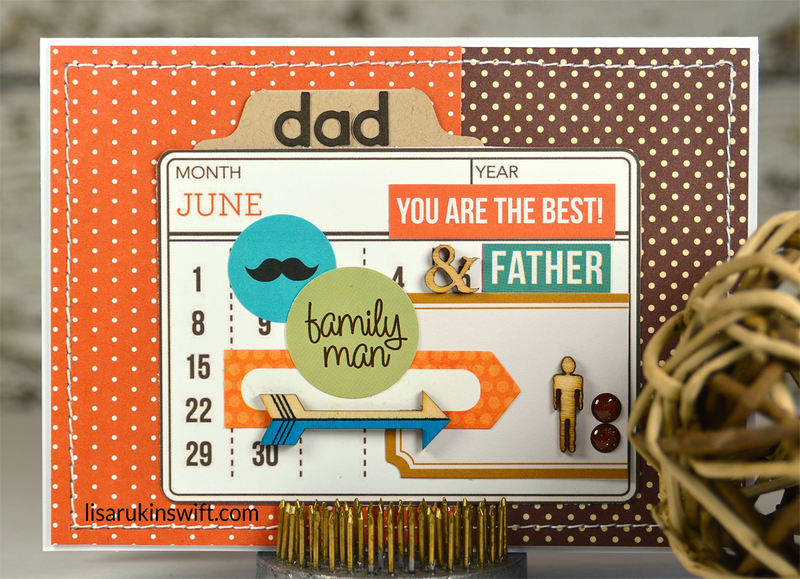 Last, but not least, It Takes Someone Special to be a Dad, was created with odds and ends from my stash. 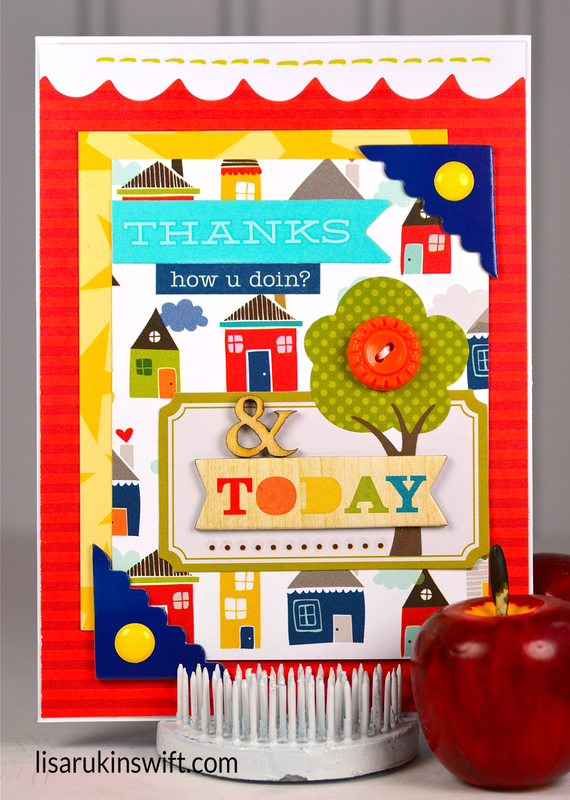 In fact, the sentiment chipboard piece is from an old Bella Blvd. collection — Man of the House, I believe. 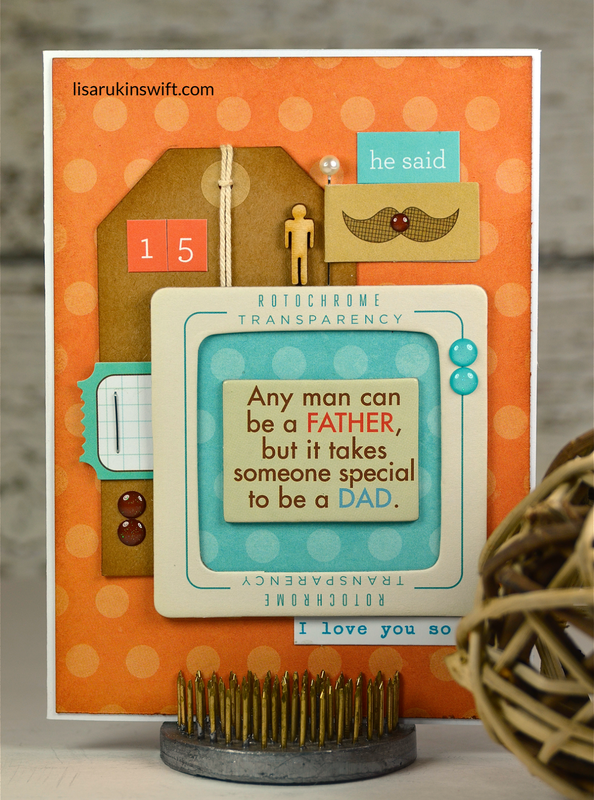 I hope you enjoyed seeing this assortment of Father's Day cards and it provided you with the inspiration to make some of your own. I've been working on adding birthday cards for little ones to my Etsy shop, The Card Kiosk, starting with this sweet card for a three year old girl. I had just received a Paper Issues order so I put my new goodies right to work. 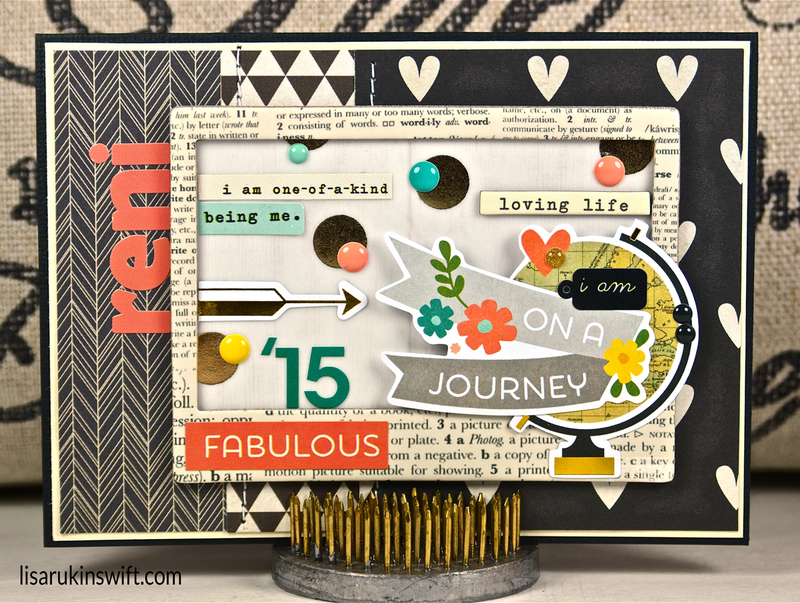 The background paper is from Chickaniddy's 365 collection 6x6 paper pad. For embellishments, I used Dear Lizzy's Fine & Dandy ephemera die cuts, Doodlebug's new glitter enamel dots (they come in a beautiful rainbow of colors) and MINI doilies (cute, right?) and a puffy heart sticker from Studio Calico's 7Papers Baxter collection. 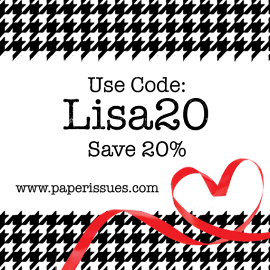 Paper Issues offers an assortment pack of Doodlebug mini doilies. It's nice to get a few of each color without having to buy single packs of 75. Even better, you can get them (and anything else that catches your eye) for 20% off with the code LISA20. What have you added to your stash lately? Do you like to dig in right away or put it aside and savor it for a while? 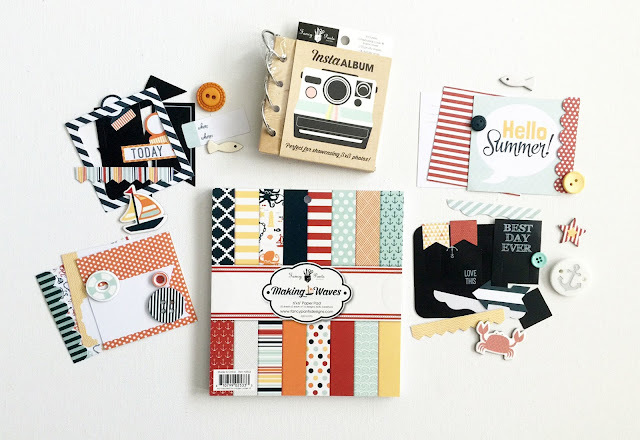 A new linky party has started at Paper Issues. 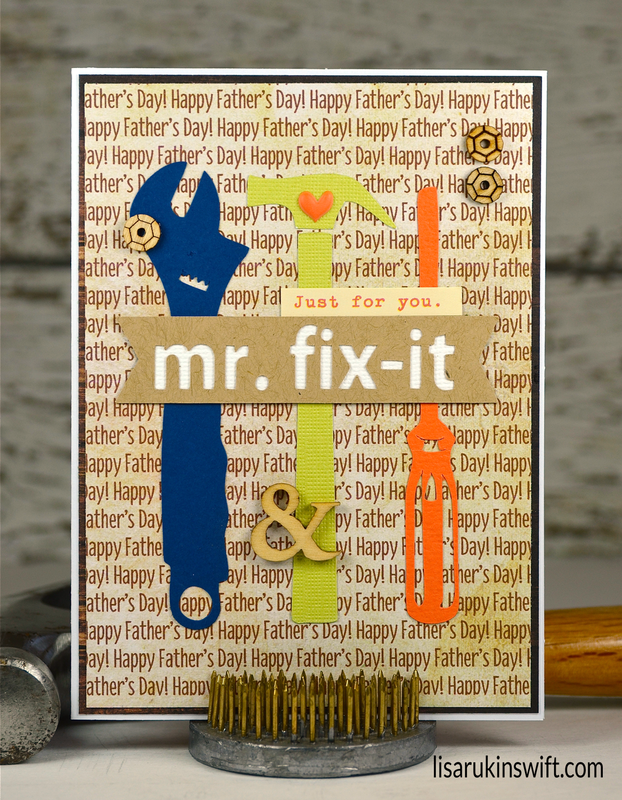 Mist-er Fix-It is sponsored by Fancy Pants Designs. You'll find all of the details on the Paper Issues blog. 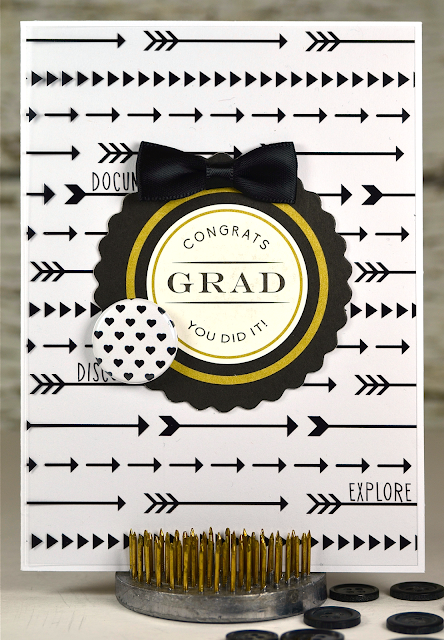 Target's Dollar Spot has some great graduation party supplies, including packages of scalloped chipboard tags, like the I used on this card. The tags came with thin gold glitter ribbon that just wasn't working for me so I replaced the ribbon with black satin bows. 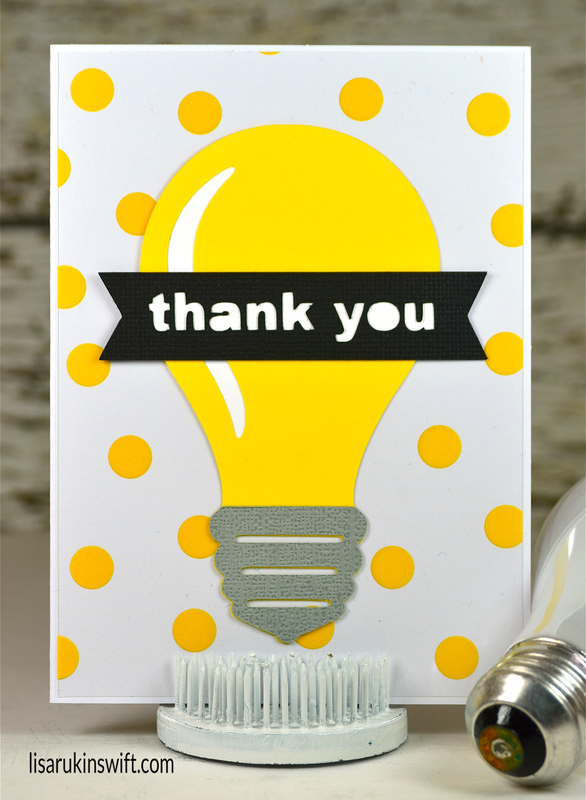 I created multiple variations of this card, using different pieces of flair (from Feed Your Craft), to sell in my Etsy shop, The Card Kiosk. They've been popular so I should probably make more. These were quick and easy to put together since I stuck with the same design. The classic colors (black, white and gold) are perfect for either a male or female graduate, whether it be from kindergarten all the way on up to graduate school. Do you have any graduations in your family this year? One of my nieces is graduating from high school in a few weeks and then heading off to the University of California Berkeley. Another niece just graduated from college. They're all growing up so fast! 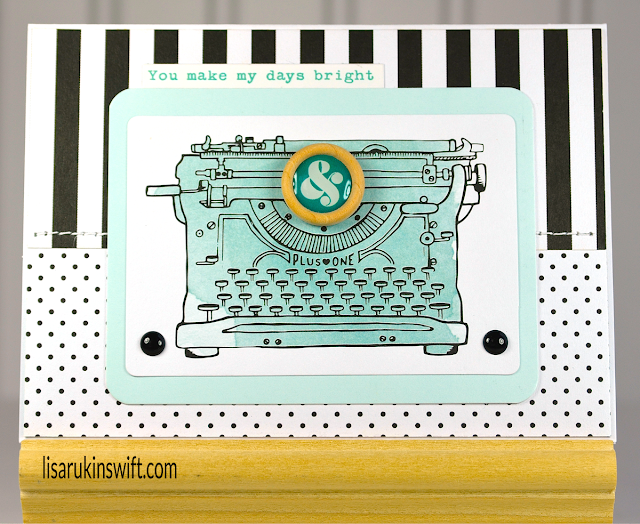 I'm loving the combination of light aqua, black and white lately. 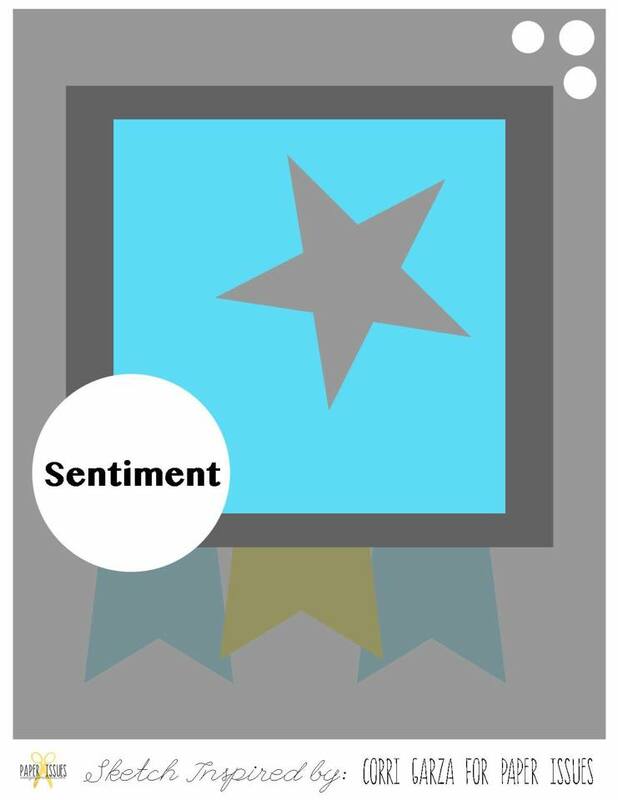 It's trendy and soothing at the same time. Plus, anything with polka dots and old fashioned typewriters makes me happy. What's your favorite color scheme lately? When I started this card, I have to admit I was stumped by the house paper. It's busier than most papers I work with so I wasn't sure what to do with it. After I thought it over a bit, I found embellishments I could layer over it, adding in a tree sticker to give it a homier feel. I think this could be used as a great thank you card to send to a friend or neighbor who invited you for dinner or another event.